45 years after the release of their debut album, Lynyrd Skynyrd have announced dates for their farewell tour. "It's hard to imagine, after all these years, the band that Ronnie Van Zant, Allen Collins and myself started back in Jacksonville would resonate for this long and to so many generations of fans,” says guitarist and sole remaining original member Gary Rossington. “I’m certain they are looking down from above, amazed that the music has touched so many." 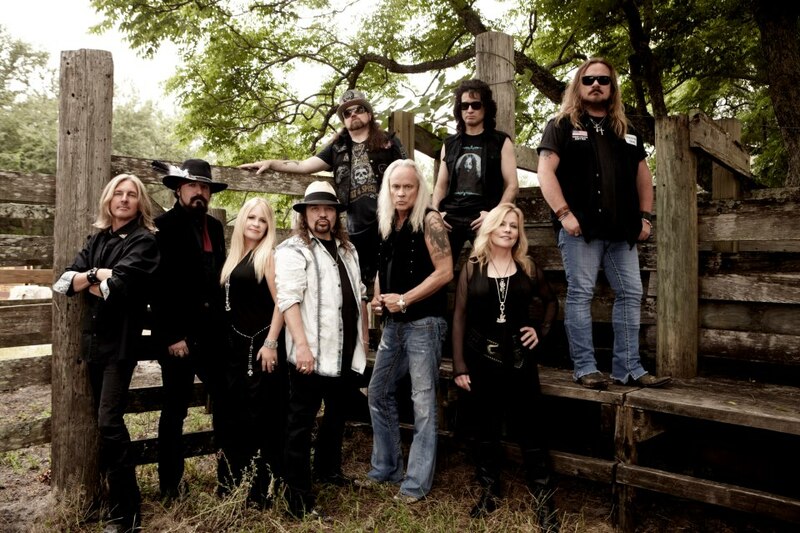 Just days after the its release, Lynyrd Skynyrd’s chartered airplane crashed near Gillsburg, MS en route to a show in Baton Rouge, LA, killing the pilot, co-pilot, the group's assistant road-manager and three band members – frontman Ronnie Van Zant, guitarist Steve Gaines and backup singer Cassie Gaines. "We’ve been blessed by these great songs and the messages they carry to the fans,” adds vocalist Johnny Van Zant. “It’s been a true honor to try and fill in my brother’s footsteps for the past 31 years, keeping the music and his spirit alive." 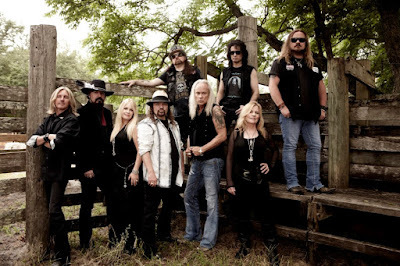 Lynyrd Skynryd will be joined by a variety of guests at various stops on the 4-month run, including Kid Rock, Hank Williams Jr., Charlie Daniels Band, Bad Company, Marshall Tucker Band, 38 Special, Blackberry Smoke and Blackfoot. The farewell run will begin in West Palm Beach, FL on May 4, with shows scheduled to wrap up in Atlanta, GA on September 1.